Sleek blue hues decorate this location similar to the rest of the chain. The large dining room, seemingly like a labyrinth, is separated into a number of smaller rooms for more intimacy. The bar is beautiful too. In my limited experience, I’ve really enjoyed the cocktail program (both alcoholic and non-alcoholic). 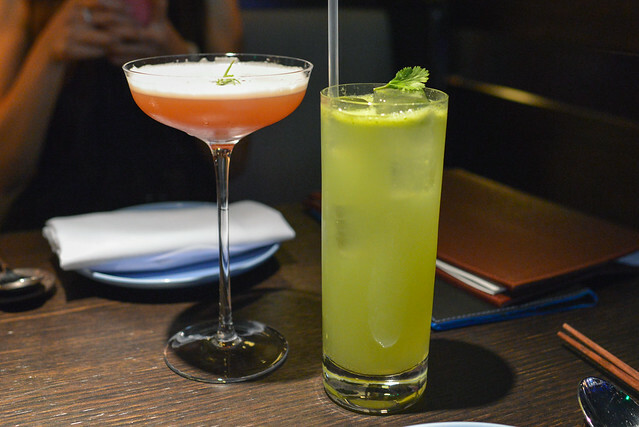 The drinks are colorful, playful and flavorful, and I like the Asian influences. Likely the most expensive dim sum I’ve ever had, these dumplings were served with a trio of sauces – spicy chili, sweet chili and soy. 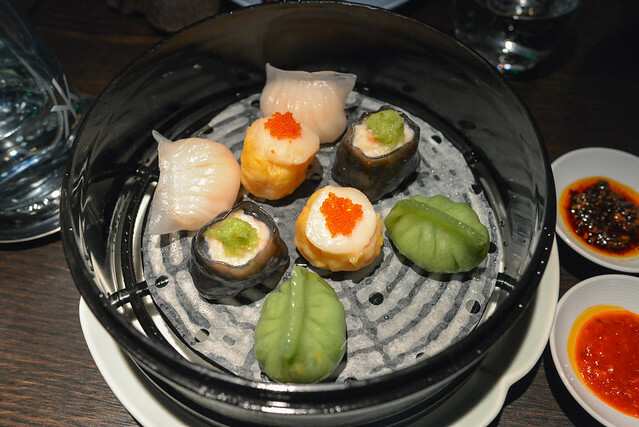 These were very good and well-executed; my favorites were the har gau and Chinese chive dumplings. 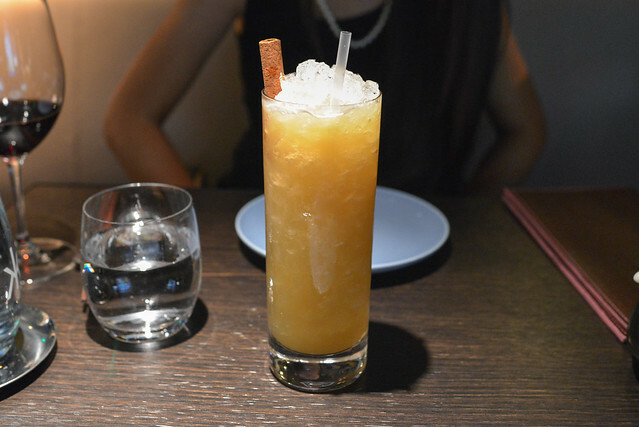 A signature item at Hakkasan and, in my mind, a must-order. Similar to when I had this in Las Vegas, the flavors were balanced so well between the rich duck, bright citrus and pomegranate, and the greens. Texturally this dish worked very well too, though the skin wasn’t quite as crispy this time around. 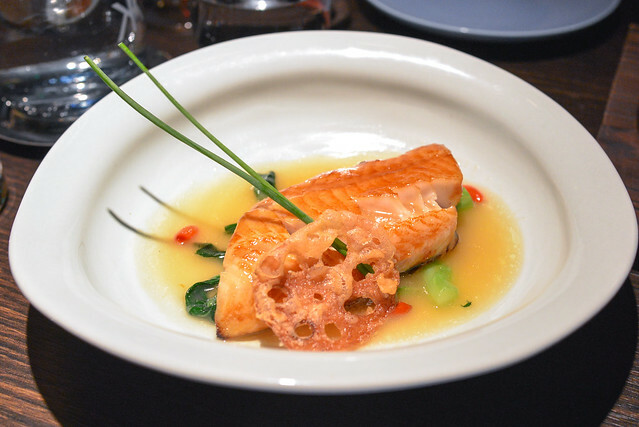 The silver cod, very similar to black cod, was silky smooth in texture. The rich fish was bathed in a fairly sweet Champagne-based sauce – there wasn’t anything wrong but this wasn’t our favorite dish. This dish was outstanding. 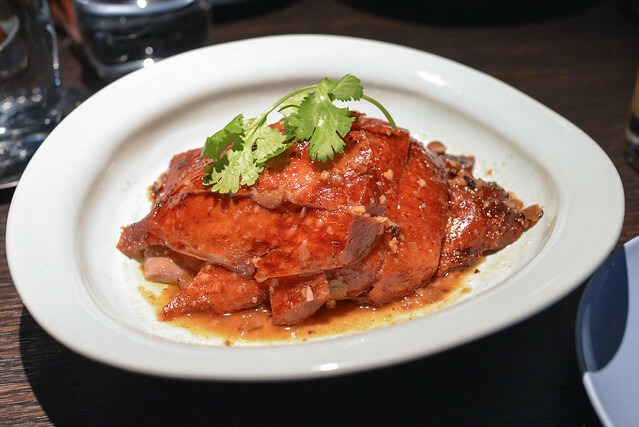 Like the signature pipa duck, this is very similar to a Peking duck that’s been carved beautifully leaving just the moist meat and crisp slivers of skin. No bones to be found. The difference with this one was the inclusion of the black truffles in the process, which really came through in the flavor. Be sure to dip each piece of meat in the delicious truffle-laden sauce at the bottom. So good and worth the sixty-eight dollar price tag. 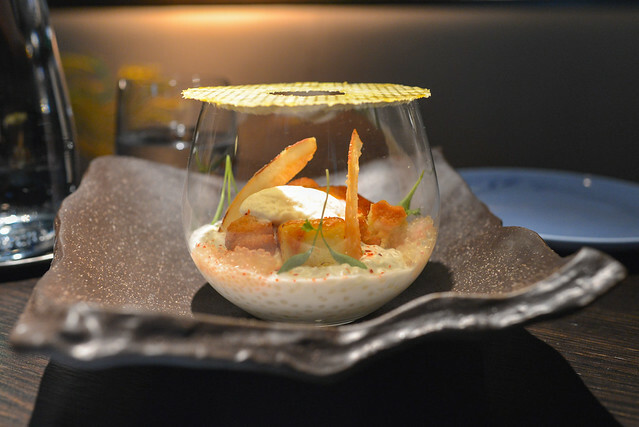 Hakkasan’s variation on this dish was pretty similar to a good one you can find in the San Gabriel Valley. I liked the silky tofu and the balance of meaty flavor with the heat and pickled vegetables. We also ordered brown rice to accompany these dishes. Mushy and way overcooked, I was surprised it came out of this kitchen. Replacing with the jasmine white rice was better…but still a touch soft. With the level of cooking coming out of this kitchen I was shocked to see the most basic of items overcooked; especially at three bucks a serving, it needs to be on point. We shared one dessert. 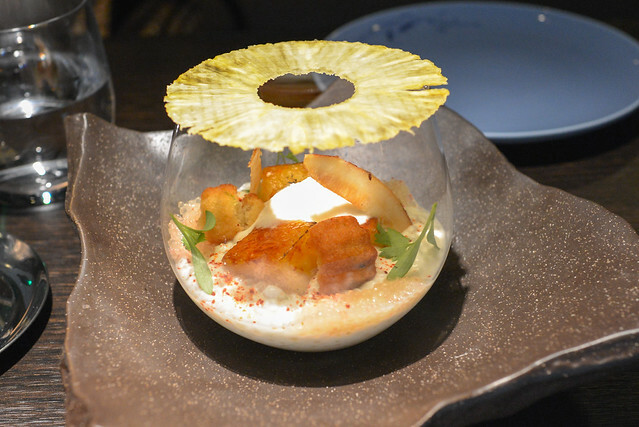 There was a nice textural contrast between the pudding, tapioca, and caramelized pineapple. Tropical flavor profiles were present throughout with the coconut, pineapple and tart lime. Overall this was a good meal. One week in, there’s probably some fine tuning still to be done but the food was mostly executed well (except the rice). Service was intermittent at times and some miscommunication and misinformation plagued parts of the meal. I expect all of this to be ironed out in time. 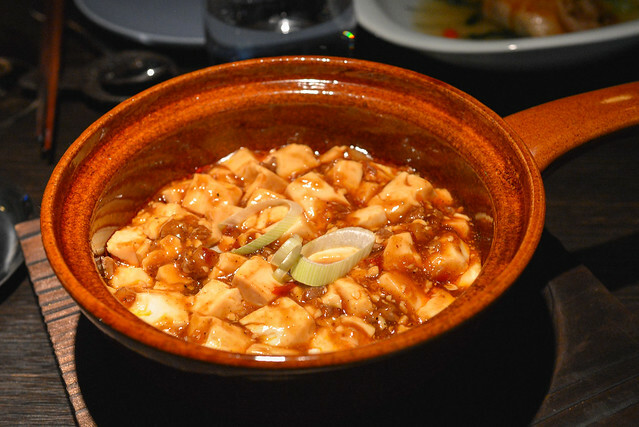 While the ‘common’ items are done well, I’d probably recommend sticking to the dishes unique to Hakkasan; there’s less justification for paying 3x for items like the salt & pepper squid or mabo tofu. 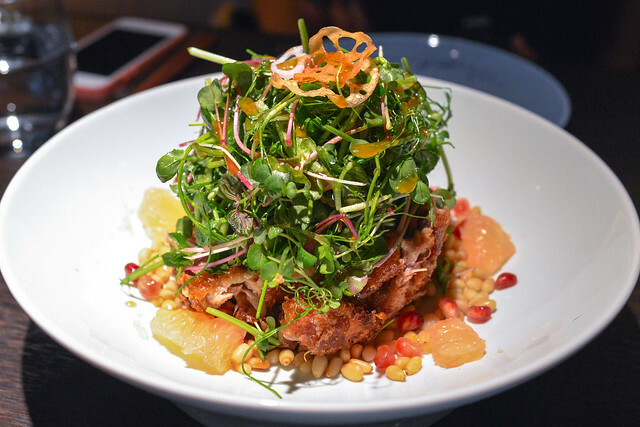 The crispy duck salad, Chilean sea bass in Chinese honey, and black truffle roast duck were all excellent and can’t be found anywhere else. The desserts are no slouch either, atypical for an Asian restaurant. I’m very curious to see how the restaurant will do here in Los Angeles. 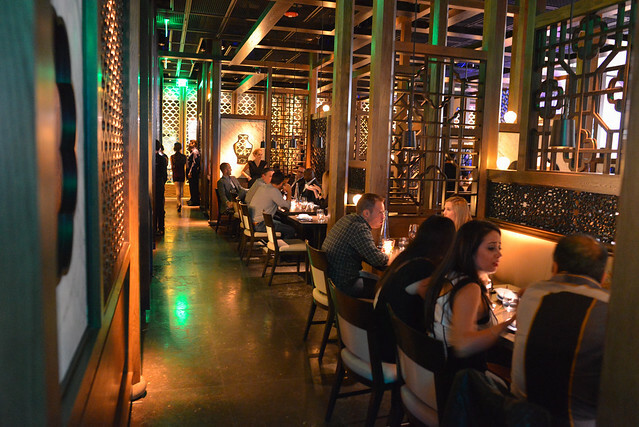 With some of the best Chinese food outside of Asia just 20 miles to the east, can Hakkasan differentiate itself enough in its atmosphere, service, vibe and food to justify significantly higher prices than the San Gabriel Valley (this meal was $200 food-only)? I think so, but I also think there will be a lot of people in both camps. However, make no mistake – this is an entirely different type of restaurant. Love your no nonsense posts about your dining experiences. 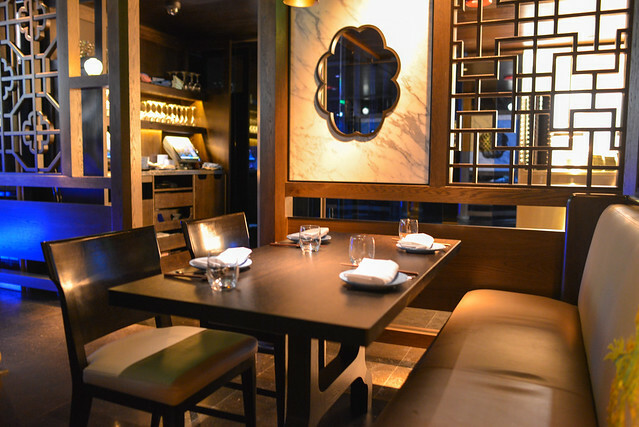 Looking forward to trying Hakkassan here in Vegas. Thank you! Should be a very good meal. Darin, in your view, if someone is going to have an expensive Chinese dinner in LA, would you go with Hakkasan or WP 24? 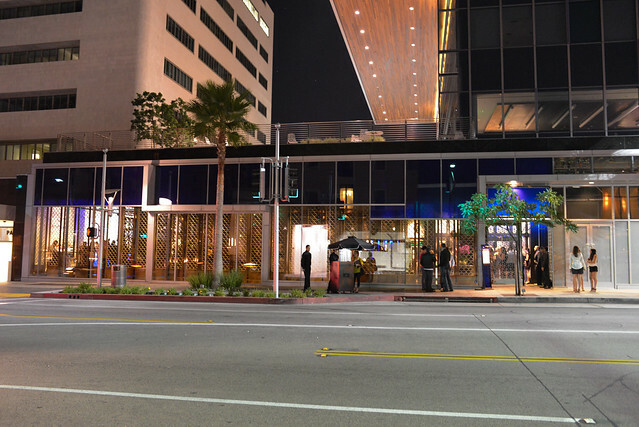 Oh that is a good question – I really do feel like WP24 is the most similar restaurant I’ve been to in LA. 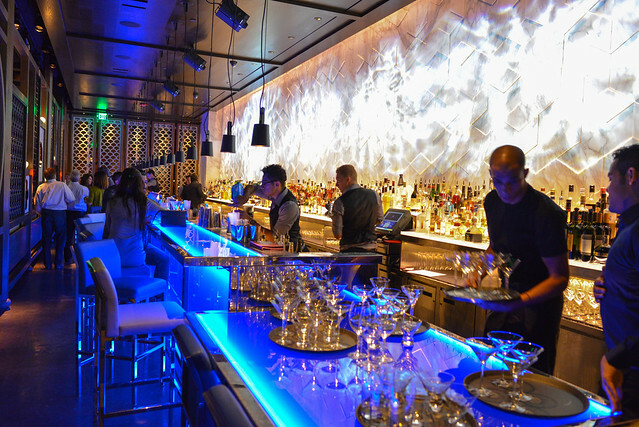 Assuming Hakkasan polishes off its service and execution, I’d lean towards Hakkasan. However, WP24 has a tasting menu (Hakkasan does not right now) which gives the option to try more dishes if there’s just two in your party. I like ’em both though! It’s nice to see Chinese food refined unlike its opposite reputation the cuisine usually receives in America (me being of Chinese-descent); especially when Bourdain said it the best: “For every one good Chinese restaurant, there’s like ten bad ones.”. This is what “Asian fusion” aspires to be and what it should be. One question that I have for you, Darin: would those that eat and crave extremely traditional and authentic preparations of Chinese cuisine appreciate Hakkasan? That’s also a really good question. 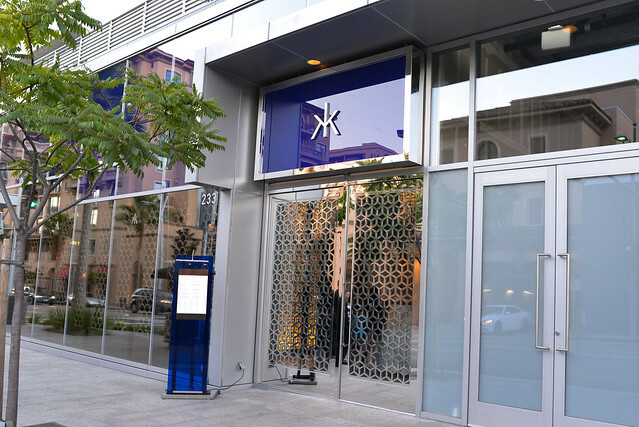 And, I’m also excited to see some of these restaurants “break the mold.” Whereas WP24 takes Chinese food and kind of modernizes/Americanizes it in a way, I think Hakkasan stays much truer to authentic Chinese. Having never actually been to China, you can take my opinion with a grain of salt, but I think they have a very good mix of authentic dishes done well. While some dishes have Western influences (truffles, caviar, etc), I feel like the dishes stay very true to their Chinese heritage. I totally had my grandparents in mind when typing up the question, lol. Knowing them, it’ going to be a really tough sell. 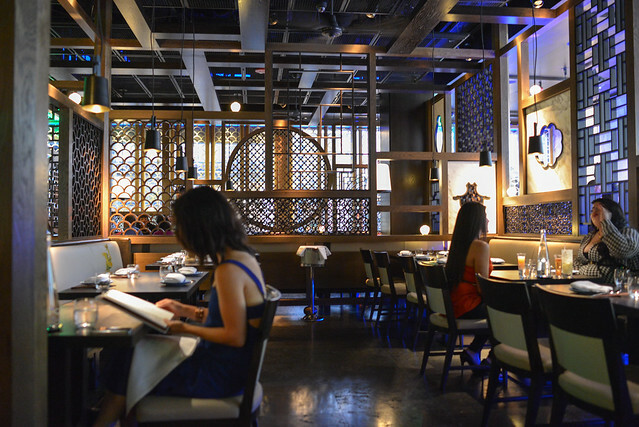 I totally agree with you btw about Hakkasan sticking well to its Chinese roots even with the Western touches. Thanks! Thinking of my grandparents, I think they’ll have a harder time getting over the price point than the food itself. Do it! I’ll go with you!